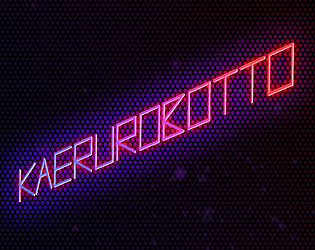 KAERUROBOTTO is a local multiplayer game where you interact with the environment and the other players only through jumping. Lovely texturing, lighting, and music. 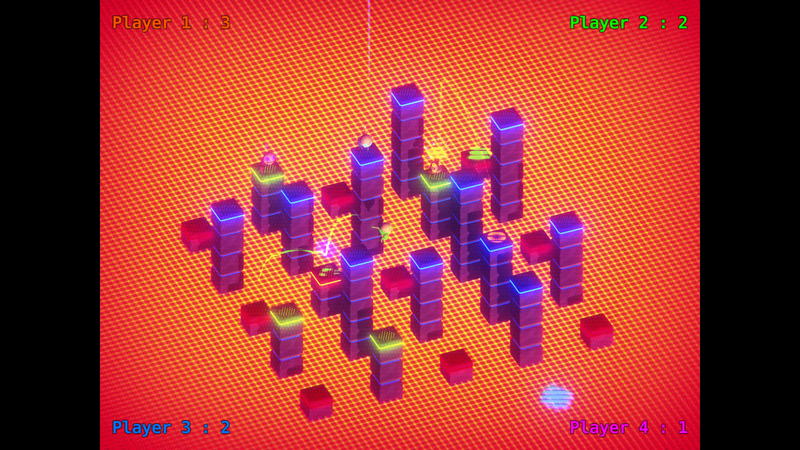 It reminds me of Bomberman's multiplayer (SNES) and would likely be just as fun if I had 3 friends to play it with. I know AI would be difficult given the time limit, but even AI that just jumped at random would improve the game. I just did not have much fun in 1v1. Having 2 computer controlled players would have made it better, even if they were awful at playing the game, it would have added a level of complexity were their ignorant hopping could blindside you if you did not pay attention. Otherwise, a very well made game that's fast paced while still being simple to play. As a note: My dad and I had no problem with the controls. Thanks for the feedback ! And glad to hear that you and your dad that got no problem with the controls ! Implementing an AI was impossible in such a short amount of time, but it would be a nice feature for a bigger version of the game ! Nice work on the music and sounds! It's really great. The visuals are also very nice. I had some difficulties with the long jump. Holding space for too long seems to cancel it, which feels odd. Also, while using colors to indicate the height of a pillar is clever, it took me a while to understand it. And at several time, I tried to jump from a yellow pillar to a blue one, but just at the same time it becomes red, making the jump fail. It can be a bit frustrating. But it was still fun to play, and figure out several strategies to move around and shape the stage was enjoyable! "Holding space for too long seems to cancel it, which feels odd." Yes it came to discussion :) We first wanted to cancel the jump if you held the button for too long to add a bit of timing challenge, but after playtesting a bit we saw how holding the long jump would have added more strategy. Thanks for your review! Nice game, love art. Gameplay is fun, but control is quite tricky, espacially long jump. Yes, the controls need some work to be more enjoyable. With the visual feedbacks and that, these are the main problems of the game for the moment. Glad to see that you still enjoyed the game and liked the art style, thanks ! Didn't quite understand how to move about so the frog repeatedly goes into the drink, lol. The visuals are really cool though! Controls need to be updated yes, it's one of the main problem with the game. 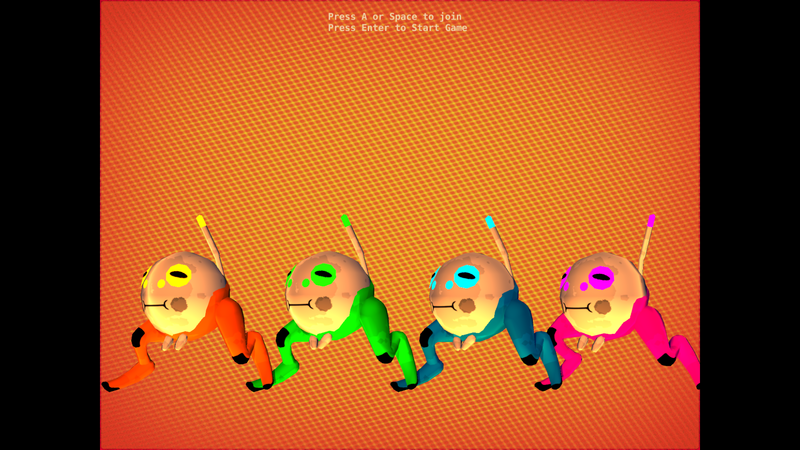 It's cool to see that you liked the visuals, thanks ! yo, for 48 hours the visuals and animations in this game are TIGHT! good job! Oh woah ! Thanks, it makes me happy to hear that ! I didn't have anyone else to play with but even just jumping around the field and manipulating the heights of the pillars was a lot of fun, I can only imagine how it would be trying to know others around and try to win. 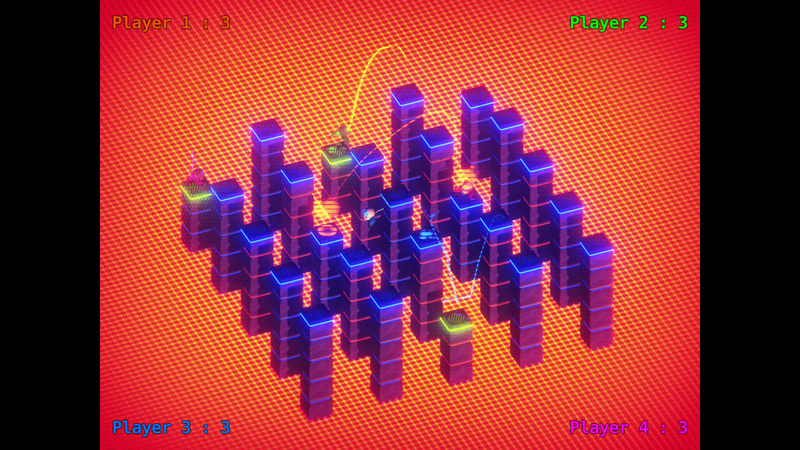 Great aesthetic and lots of fun movement options like trying to jump to a pillar too high and jumping off the walls. Hey, thanks for the feedback ! Glad to see you still had fun playing it alone.